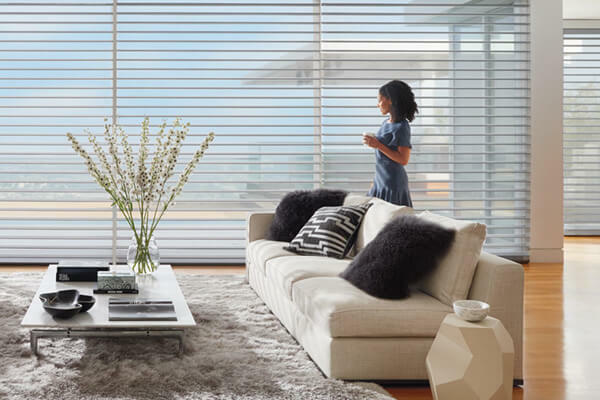 With light-diffusing sheer shades from Hunter Douglas, you can convert the sun's harmful rays into a pleasant, soft glow inside your Overland Park home. 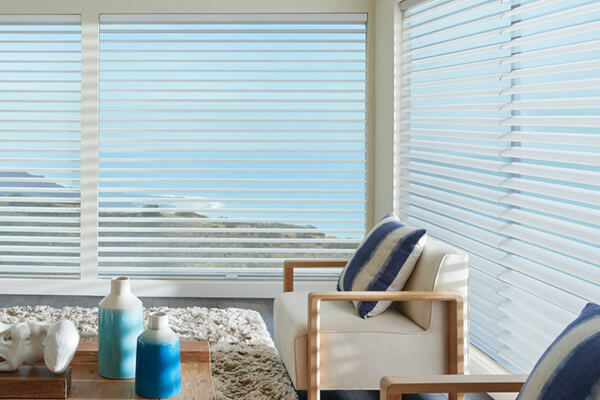 Vane Sizes 2", 3" or 4"
Thanks to specially crafted sheer fabrics that convert harsh sunlight into beautiful ambient light, Silhouette® Window Shadings by Hunter Douglas have been the leader in light diffusion window treatments for over 25 years. 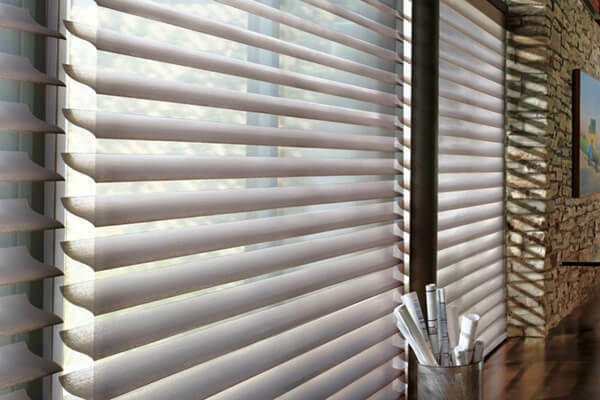 These intelligently engineered window shades feature adjustable S-shaped vanes that look as though they are "floating" between two sheer fabrics. Use this amazing light diffusion to filter out up to 88% of the sun's harmful rays, which offers the tangible benefit of protecting both you, and your valuable possessions from ultraviolet light.